Sometimes, certain restaurants are the victim of similarly sounding names. That happens all the time with Chinese restaurants as every other one has the word golden in it. 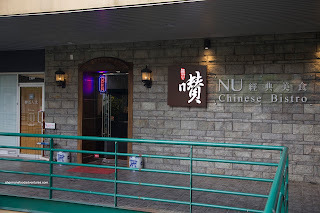 With Nu Chinese Bistro, one can easily confuse it with the closed Nu Shanghainese Bistro. 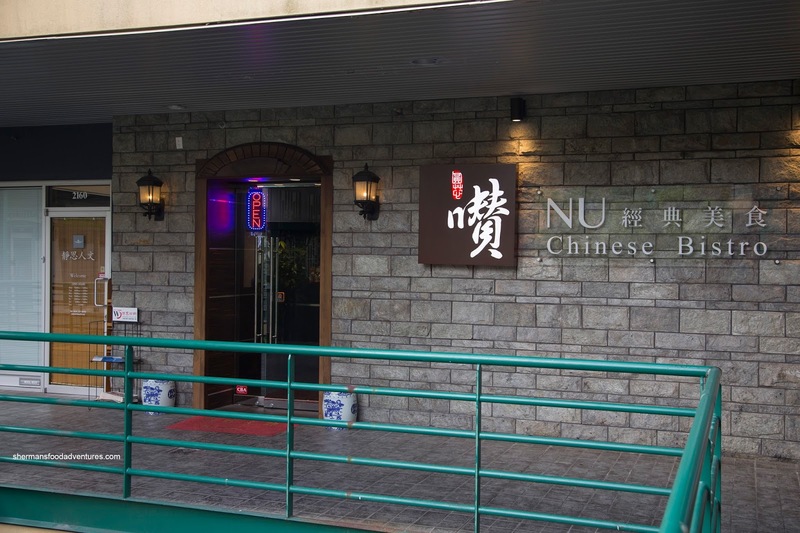 Also, one might find themselves on Granville Street at the closed Nu Restaurant. 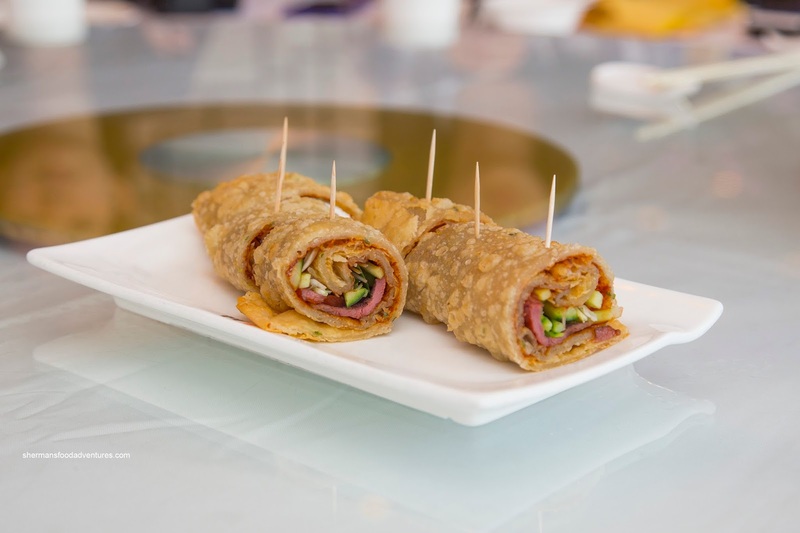 Even the actual Nu Chinese Bistro is hard to find within the complex it calls home. If I hadn't visited the nearby Garden City Hot Pot, I wouldn't even know how to find the place. Finally once inside, I joined the ChineseBites crew for a complimentary tasting. 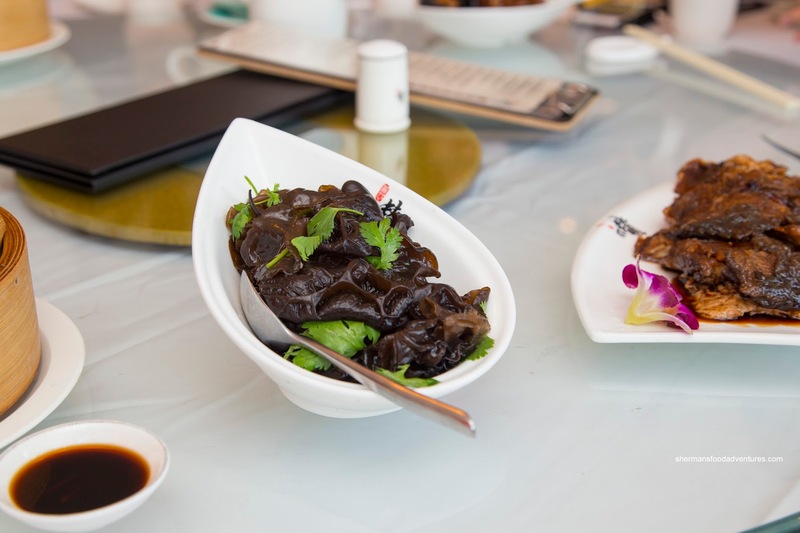 To start it all off, we were presented with 3 cold appetizers including a seemingly simple dish of Sautéed Black Fungus. Well, I have to say that whatever they did to rehydrate the wood ear mushrooms, it was a job well done. These were tender, lightly crunchy and almost buttery. After a few initial chews, the hit of wasabi was unmistakable. Next up was the Soy-Braised Kaofu Bran with bamboo shoots and the same buttery wood ear mushrooms. This was a fairly sweet dish where the gluten soaked up all the sauce. This was mostly a study of different chewy textures. 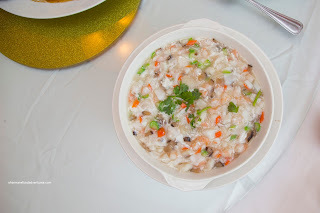 Also rather sweet was the Traditional Shanghai Smoked Fish that was sitting in a sugary soy mixture. 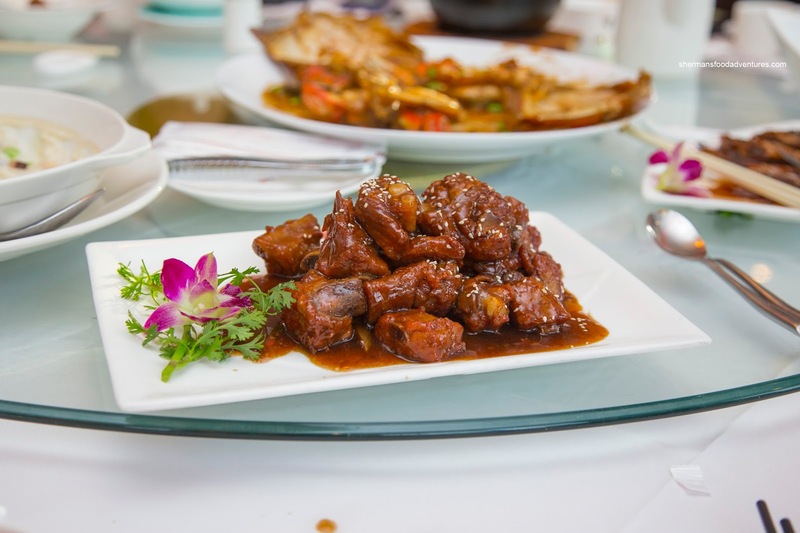 The fish itself was mildly smoked while taking on the sweetness of the sauce. Texturally, it was overly firm where it was more chewy than anything. Normally, I prefer my smoked fish to be a bit more moist. 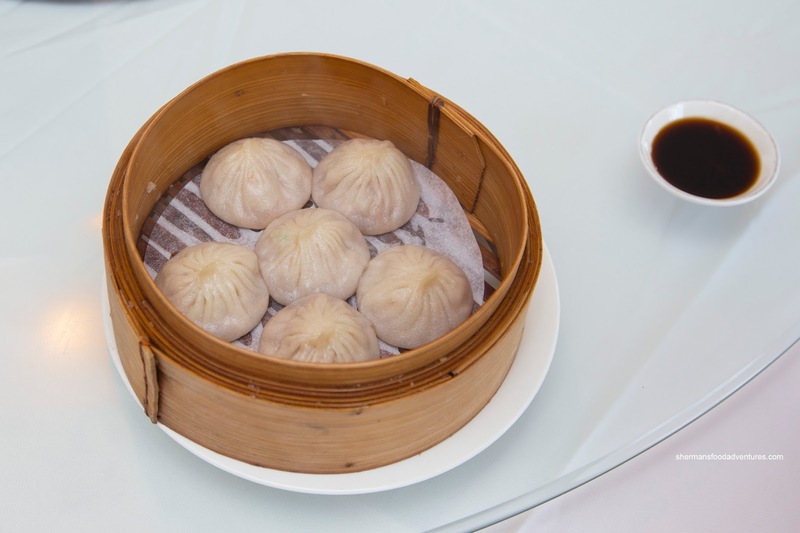 Onto something hot, we were served the Xiao Long Bao. These featured a fairly thin and appealingly chewy dumpling skin. Inside, there was a significant amount of soup that was lightly sweet but lacking in wine flavour. I enjoyed how the meat filling was not overprocessed, but it was rather dry and chewy. 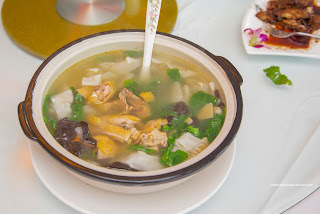 We moved to the Clay Pot Wonton Chicken Soup next with was split in smaller bowls. This was a concoction consisting of pea shoots, free-range chicken, wood ear mushrooms, young bamboo and wontons. I found the broth to be light and clean without excess seasoning. It was naturally sweet from the chicken and pea shoots. Texturally, I enjoyed the crunch of the veggies including the young bamboo. After that, 2 orders of the Special Beef Wrap arrived. The pancake itself appeared to be fried with a golden blistered exterior. I found it to be doughy and dense. 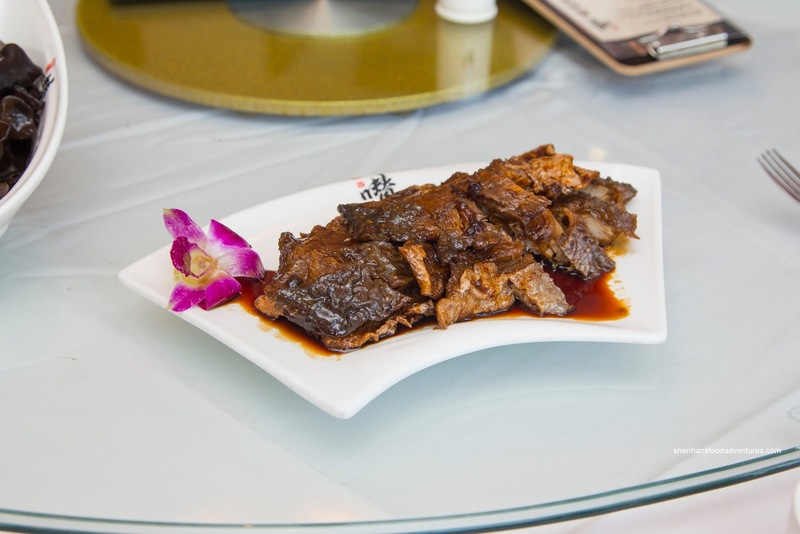 Inside, the gelatinized beef shank was nicely textured and seasoned. There was just enough hoisin, cucumber and scallions for impact. 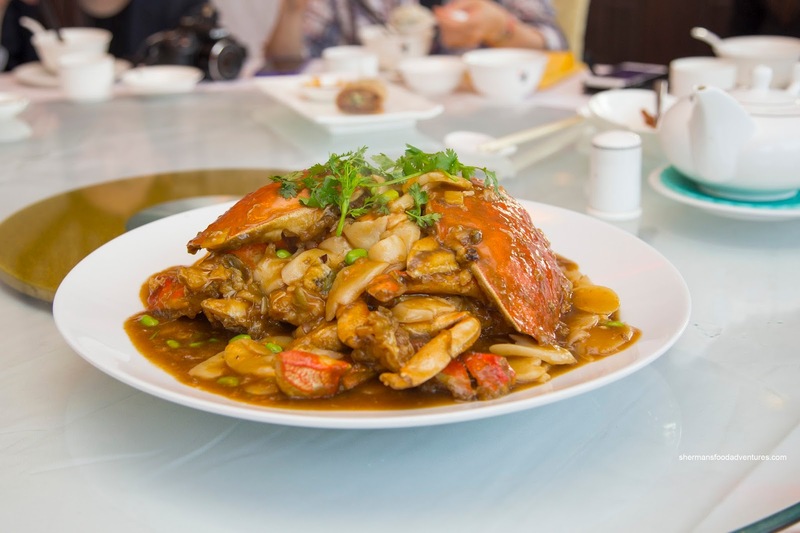 Majestically-plated, the BC Dungeness Crab with Fried Shanghai Rice Cake was also a large portion. Interestingly, they removed most of the crab brains to my dismay. As for the crab itself, the meat was strangely soft, but was still fluffy and sweet. I found the sauce to be a bit salty and fairly greasy. The rice cakes were cooked far too long where it became doughy with a melted consistency. Well, a Chinese meal is not complete without some Stone Pot Braised Pork Belly Shanghainese Style right? 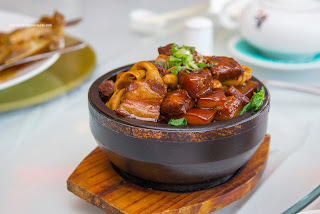 Well, this serving of pork belly was fatty as expected. However, the meat portion was a bit chewy (yet still tender enough). I found the sauce to be greasy (but understandable due to the ingredients) and on the sweeter side. 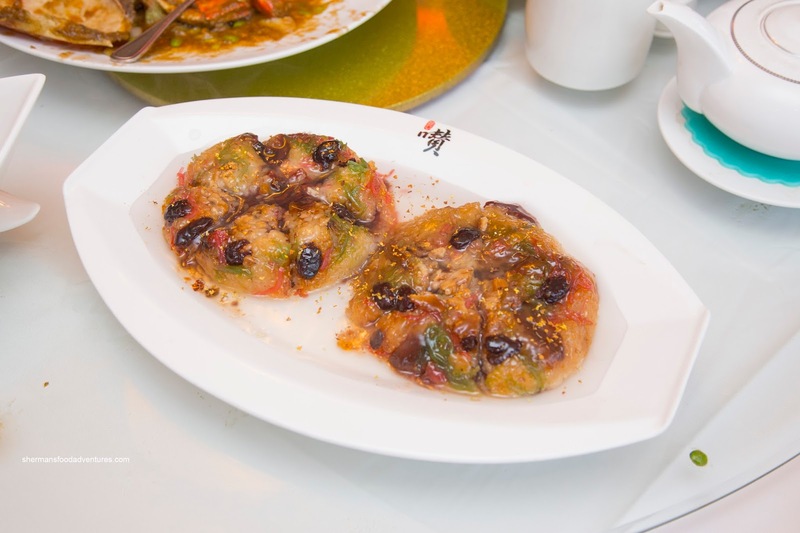 It was relief to see a lighter dish, the Steamed Silky Tofu with Seafood, arrive after the pork belly. The dish lived up to its namesake with tender and soft tofu topped with a starch-thickened sauce consisting of shrimp, scallop, squid and veggies. All the seafood was on point texturally while the sauce was mildly salty. Back to the pork, we had the Zhenjiang Style Ribs. I thought this was a decent offering with big chunks of tender pork rib that still maintained a meaty chew. The black vinegar came through in the sauce with sweetness and a mild tang. On the other hand, there could've been just a little less sauce as it the dish was a bit sloppy. 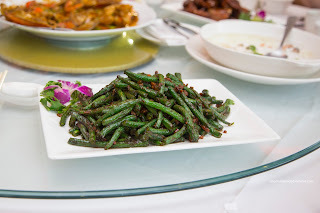 Fulfilling our veggie quotient for the meal, we were presented with the Fried Green Beans with Minced Pork. Although looking pleasant, this dish was ultimately a disappointment because the beans were flash-fried too long. As a result they were soft and lacking the needed crunch. Furthermore, there wasn't enough seasoning and spice. 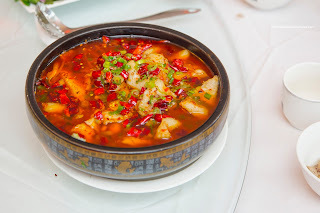 However, that was not a problem at all with the Szechuan-Style Boiled Fish. With a broth consisting of red chilis and Szechuan Peppercorns, the dish truly had a tongue-numbing hit. However, it wasn't overwhelming since we could actually taste the other ingredients. As for the Basa, it was cooked just enough being buttery and flaky. 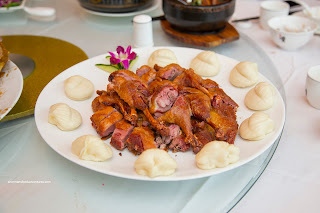 Continuing the gluttony, we had the whole Xiang Jiang Tea Smoked Duck which sported a well-rendered and crispy skin. However, by virtue of that, the rest of the duck was inconsistent. For the breast meat, it was rather dry while the dark meat was still succulent. There was definitely enough salt to flavour the entire duck, but the smoke didn't come through. 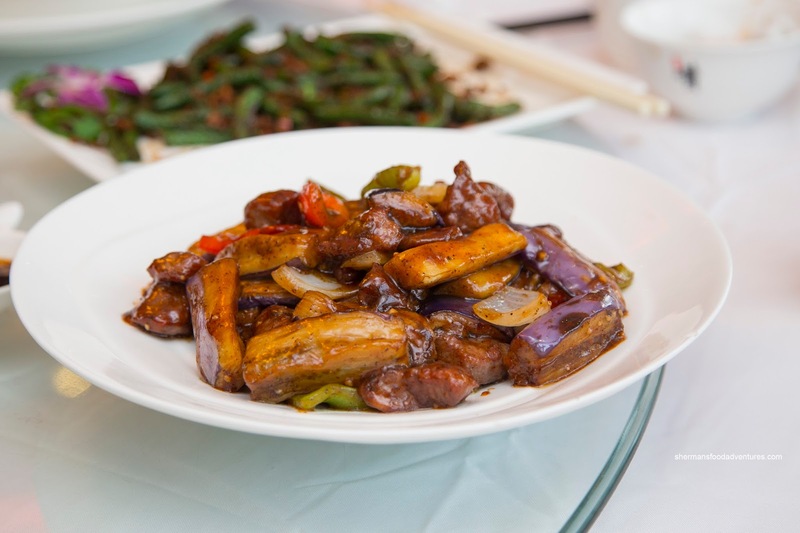 Onto our last savoury item, we had the Black Pepper Beef. I found the dish to be pretty greasy with an obvious sheen. The eggplant was nicely textured where it wasn't mushy. I thought the beef could've been tenderized more as it was chewy. Flavourwise, the dish exhibited a background pepperiness. For dessert, the Eight Jewel Sweet Rice was pretty colourful and ultimately interesting. There was an array of dried fruit to go with the sweet red bean filling. With an aggressive drizzle of syrup, the whole dish was very sugary. I thought the rice was a little dry in spots as well. This was a rich and heavy finish to an uneven meal. Interestingly, we noticed that the service in the restaurant was courteous while hardly attentive. In terms of the food, there was definitely some highlights, but an equal amount of average dishes. 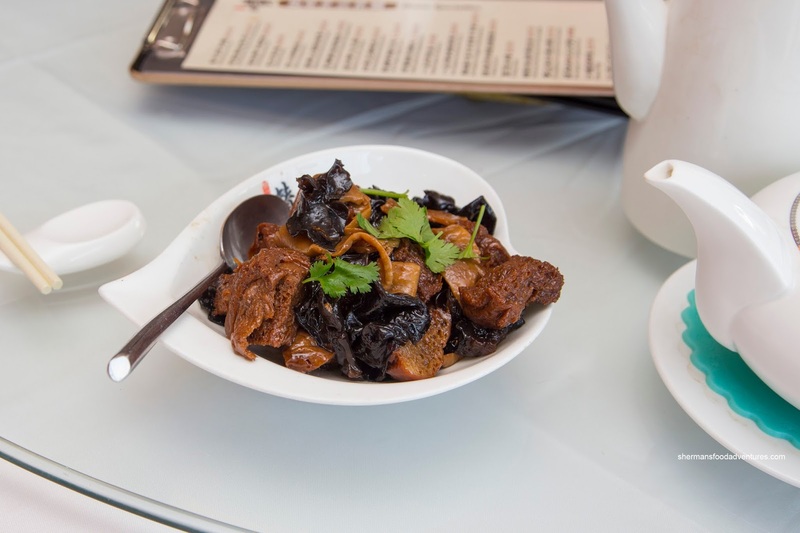 Based on the amount of dishes we tried, a meal at Nu Chinese Bistro can be serviceable, if not unspectacular.